Many jazz musicians have had odd careers. Active in the 1930s, alto saxophonist Boyce Brown left music to become a friar; as Brother Matthew, he recorded once, in 1956. Trumpeter Don Joseph recorded off and on during the 1950s, but only once subsequently, in 1984, presumably because of poor health. Frustrated with his playing, Sonny Rollins took two sabbaticals, one in 1959 to practice for three years, and another in the early 1970s to study Eastern thought. Craig Hundley (now Huxley) had an acting career before leading his first recording session at age fourteen; he became a classical pianist, composer, and film producer. One of the strangest careers is that of singer Ed Reed. Though born in 1929, he did not record until 2006. This delay occurred partly because he was a junkie for forty years, beginning in the 1940s, and was incarcerated during the 1950s and 1960s; he sang in a prison band. As best as I can tell, he was musically inactive during the 1970s and 1980s, possibly because of drug problems. Clean since 1986, he resumed singing in the early 1990s. Despite his age and the toll drugs doubtless took on him, his voice seems unaffected. I would characterize it as robust and supple, free from the thinness and quavering that often affect an octogenarian. Someone listening to Reed without knowing his age might think him in his forties. 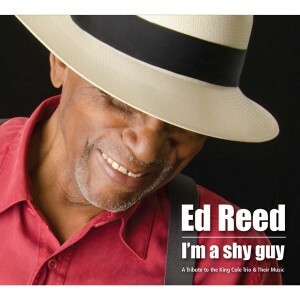 On his four CDs, Reed performs good tunes that typically have not been overworked. Ed Reed Sings Love Songs (2006) features pieces associated with Duke Ellington (“A Flower Is a Lovesome Thing,” “Daydream”), Thelonious Monk (“Ask Me Now”), and Billie Holiday (“If the Moon Turns Green,” arranged by Carmen McRae). It concludes with an a cappella version of “Motherless Child,” on which he stays in tune. The Song Is You (2007) is jazzier than the first CD because of the space allotted to the Peck Allmond Sextet, which backs the singer, as it does less prominently on Ed Reed Sings Love Songs. Of the eleven selections on The Song Is You, four are by Ellington (“All Too Soon,” “Don’t You Know,” “I Didn’t Know about You,” and “It Shouldn’t Happen to a Dream”). Yet the brief “I’m Through with Love” (2:22) is perhaps the most impressive track because Reed, backed only by guitarist Jamie Fox, sings it through but once, letting simplicity, vocal quality, and emotion make it moving and memorable; anything additional would be superfluous. He sings three songs recorded by Bill Henderson, who influenced Reed (“Don’t Like Goodbyes,” “It Never Entered My Mind,” and the title tune); he performs another one, “Never Kiss and Run,” on his next release, Born to Be Blue (2010). On it, his song selection is typically attractive, though he sings one tune that is grittier than his usual fare, Big Joe Turner’s “Wee Baby Blues.” These three CDs have been warmly received by the jazz press, as, probably, will be his most recent release, I’m a Shy Guy (2013). Despite critical acclaim, Reed seems little known outside the cognoscenti, possibly because he sings old songs (mostly standards) in an old style when listeners, especially young ones, favor the new: he respects lyrics, enunciates clearly, and improvises by taking melodic liberties. These are, though, desirable, admirable qualities, ones well suited for the kinds of songs Reed prefers, including those on I’m a Shy Guy, on which he sings tunes recorded by Nat Cole’s trio in the 1940s, plus two pieces Cole recorded with the backing of large groups, “’Tis Autumn” (1949) and “Unforgettable” (1956). Reed follows Cole’s example by taking most of the songs at a relaxed medium tempo. Because of his playfulness and solos by saxophonist Anton Schwartz, pianist Randy Porter, and Fox, the bouncy “Straighten Up and Fly Right” is one of the least restrained performances. “That Ain’t Right” is a blues. The longest track, its amusing lyrics about a gold-digging woman might have inspired Ray Alfred’s lyrics for “I’ve Got News for You” about a two-timing woman. On “That’s the Beginning of the End,” Reed makes believable the advice of a former lover to a woman’s current one. “This Will Make You Laugh” and “I’m Lost” feature Reed backed by a single instrumentalist—Fox on the first, bassist John Witala on the second. Because of the intimacy of each, these two performances are highlights. The rueful “Baby Baby All the Time” reminds listeners that Bobby Troup wrote a successful song other than “Route 66” (several of his compositions endure, including “You’re Looking at Me,” which Reed performs on Born to Be Blue). It is the sole tune Reed sings on I’m a Shy Guy that Diana Kral sings on her CD of Cole material, All for You (1995). This release, her third, catapulted her to fame in her early thirties. I hope that Reed’s CD of music associated with Cole serves him similarly in his mid eighties.